Development and production of high quality LED solutions and industrial electronics: an area of expertise for RENA Electronica for thirty-five years. When searching for a reliable partner for the production of 3 new models, Hortilux – who develops, manufactures and installs supplemental lighting systems for the horticultural industry – came across RENA. In the last couple of years, more and more companies in greenhouse horticulture switch (partly) to LED fixtures as growing lights for their crop production and that is not surprising at all: the advantages are numerous compared to conventional lighting (HPS-lights). For example, LED lights only use 2/3 of the energy needed for HPS lights. Furthermore, LED lights produce less heat, which allows the lights to be on longer during the day. This is a very interesting option for growers, especially in countries with high energy prices. Another big advantage of LED lighting is its efficiency. Traditional lighting is hard to control; LEDs make it possible to exactly determine the most efficient wave length. During the first growing phase, many plants need blue light in order to grow. At a later stage, they especially need red light for the development of the fruit. LED lights can be adjusted very precisely to meet the specific needs in all growing phases. The HORTILED Top is intended to light production crop from above, simulating daylight. The HORTILED Multi is the ideal LED fixture for growing perrenial plants in chambers without day light, multi-layer cultivation and research centers. Development and engineering of the 3 light fixtures took place at Hortilux for the most part. RENA was involved in an early development stage concerning the design for manufacturing. RENA is now – after a worldwide introduction in January – completely responsible for production and assembly of the HORTILED product line. 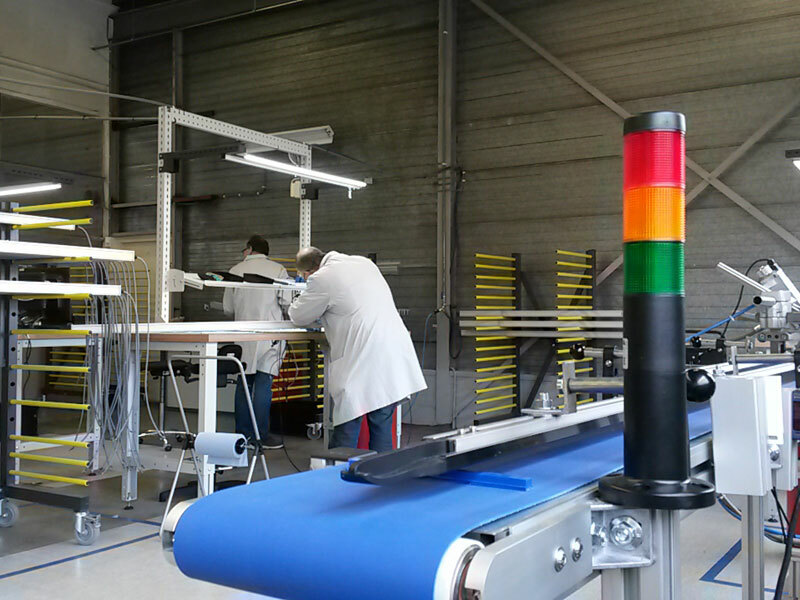 At the end of 2015 RENA opened a new production facility nearby in Zundert. In addition, production of the 3 models from the HORTILED range will lead to new jobs for 20 additional employees (on top of the approx. 75 employees who are already working at RENA).